That’s powerful stuff. Don’t let it go to your head. Get MobileMonkey Free — Yeah, Really! See easy chatbot tools in action! Messaging is actually changing consumer behavior. We’re giving you the power to message users directly in their inbox and create an open thread for you to be able to chat with your targeted customers. The best way to drive value for your users is through guided conversations in your Messenger bot. You have MobileMonkey at your disposal to hook you up with quick replies, carousels and lists, different templates in order to create the most compelling experiences possible that drive business outcome. But here’s the real secret. MobileMonkey makes it easy. And it’s free. Facebook has the right audience for any brand, but very few companies succeeded — until now. 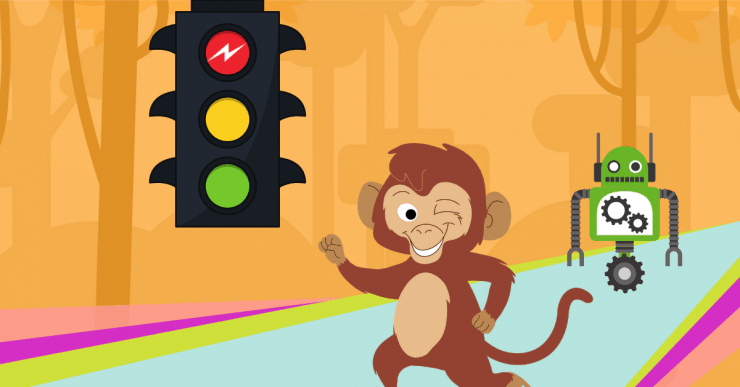 MobileMonkey makes Facebook marketing fun, easy and very efficient. The software optimizes customer service and creates an amazing alternative to newsletters — and all this on the platform that is a No. 1 app on the phones of millions. Digital marketers who are are always looking for a competitive edge and get excited by technology that helps business scale are going to want to get started with MobileMonkey’s AI chatbot and automation immediately. I am super grateful for the MobileMonkey team because they took the Facebook bot funnel we use at Eight Loop Social to effectively segment out our ideal agency clientele and templated it so you can put it into your own accounts and run with it. MobileMonkey offers a powerful and intuitive interface for adding messaging into a company’s marketing mix. Growth-minded marketers should jump on this to start building contact lists and engaging with their audiences through messaging. Try a Facebook chatbot for yourself! Opens in Messenger. Connect your business systems — CRM, email, webinar, order fulfillment and more! I started MobileMonkey because customer communications via messaging is 10x more engaging than sending regular emails. 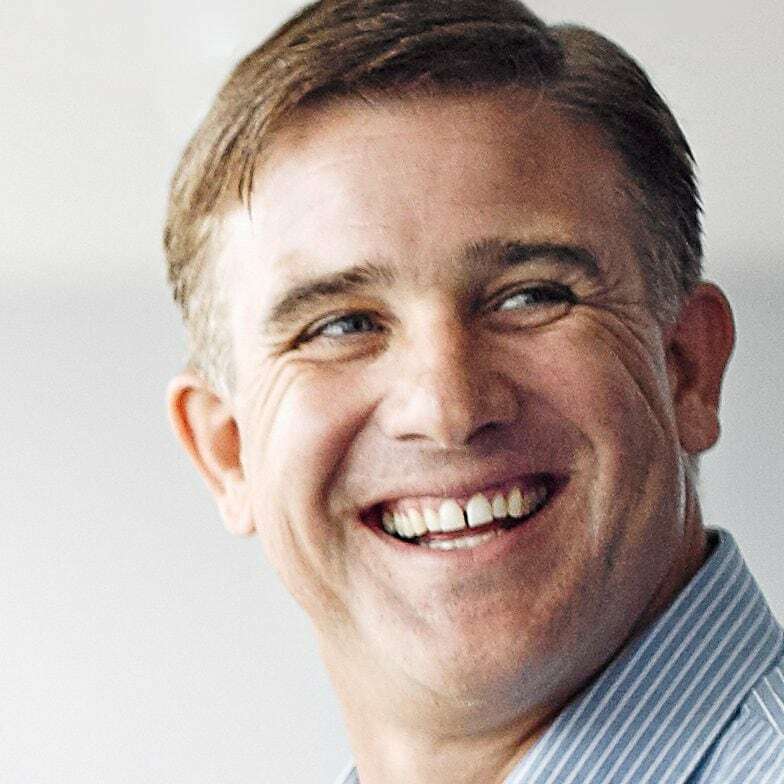 Marketers can use the platform to connect with customers on the most popular mobile chat application in the U.S., Facebook Messenger, used by over a billion people every day. Billions of Leads Generated. Get Yours Today! That’s real data across MobileMonkey’s millions of users! More sales and lead gen for any business! Over 900 5-Star Ratings from Students of the Chatbot Master Class! Whew!! Wow!! That was a lot of brilliant chatbot information. Knocks my socks off. Super satisfied with this course. So promising!! Isaac makes the best teacher. So in depth and technical training I got here. Very detailed course. Can't complain. Plus the PDF slides for this course is the cherry on top. What a thorough course covering marketing concepts and how they can be put into practice! Isaac also included comprehensive tutorials on exciting chatbot tools to make these ideas happen. I am blown away by the volume of knowledge Isaac has provided. This noob spent hours attempting to build effective and efficient Facebook chat bots which were too long and too complicated. Every noob needs this course. Chatbot marketing is still relatively new, and this course not only goes through how to physically set them up, but also how and why you would even use them in the first place. 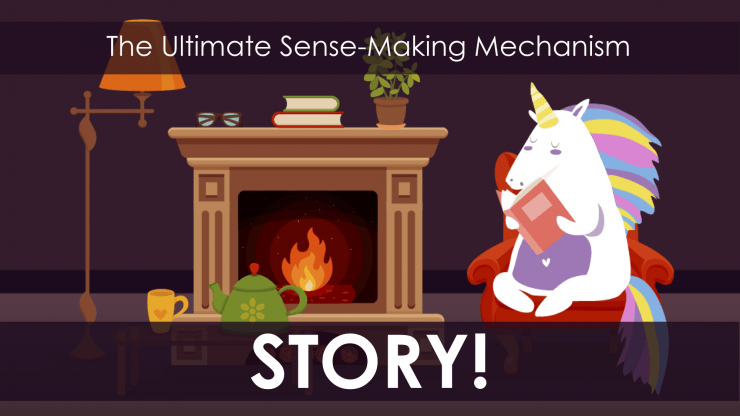 There really are so many different use-cases for this type of marketing, and I really didn't understand the full potential here until I went through the course. Try these Facebook Messenger chatbot templates for yourself! Opens in Messenger. Our Customers Are Swinging All the Way to the Bank! A few weeks ago, I set my monkey to the task of helping me sell tiny homes for a client. Flipping the switch on FB ads to generate leads through Messenger started with cautious optimism. But, oh boy, did it pay off! Within the first 24 hours, there were a dozen new leads. And by day 3, four of them had initial sales calls about purchasing a tiny home. But if you follow the rule “connect with your audience wherever they hang out online,” then Messenger is an obvious choice. Facebook chat bot open rates are unbelievable and I love comment guards! In our efforts leads are $15-20 but on MobileMonkey it’s a fraction of the price. Visionaries: A Bot & Customer Service Like No Other! I love that this is a Larry Kim & Brain team product. He always has an award winning support team too! MobileMonkey allowed us to automate a lot of the generic responses, as well as answering questions while we were asleep here in New York. So by the time we woke up, we would already have $5,000-$7,000 in revenue simply because people targeted in other time zones had already found the answers to their questions. We are incorporating MobileMonkey Facebook bot products into 2019 plans for as many clients as possible through offering comment guard, paid messaging campaigns on Facebook, and the chat widget on websites. Tens of thousands of Facebook Messenger chatbot marketers! The technology will help companies convert leads into customers by automating personalized bookings via a conversational interface. Adding conversion optimization via a personalized-at-scale chatbot experience makes a lot of sense. The platform’s simplicity makes it ideal for entrepreneurs and marketers in smaller companies, while its technology makes it suitable for enterprise customers. You can make a simple bot answering customer service questions or integrate it with Shopify to monetize your Facebook fan pages. Chatbots are all the rage these days, thanks to massive advancement in artificial intelligence (AI) and natural language processing (NLP). They are being increasingly used by businesses of all sizes to interact with their prospective and existing customers, not just in the area of customer support, but also in sales and marketing. The MobileMonkey free plan provides everything you need to design and deploy successful messenger marketing campaigns that will drive real results for your business. It includes features such as a chatbot builder, messenger ads, chat blaster, Q&A triggers, and more. For advanced features like drip campaigns, bot analytics, and integrations, upgrade to any of the paid plans. 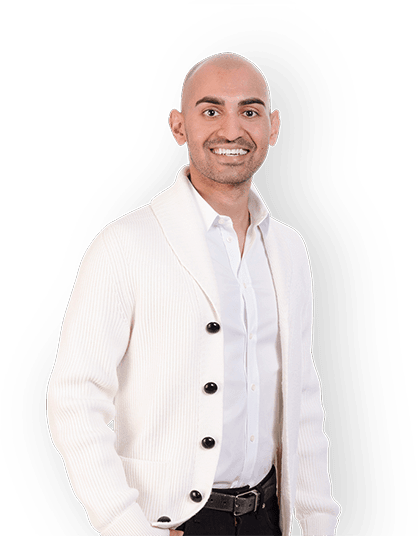 MobileMonkey Made the List of Neil Patel's Top Tools of 2019! Did We Mention Household Marketers Are Buzzing about MobileMonkey? 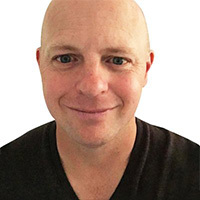 MobileMonkey’s chat marketing platform empowers small business owners and in-the-trenches marketers with DIY software for leveraging chat for quality lead generation. I get so many compliments on my chatbot, it’s awesome. You can use video in chatbots and GIFs through the whole chatbot sequence. I create chatbot funnels with MobileMonkey and get great response. That’s the kind of marketing you want. You want marketing that people are going to compliment you about and it’s super interesting and engaging. MobileMonkey is to Facebook Messenger marketing as MailChimp was to email marketing nearly two decades ago. Facebook Messenger bot marketing on MobileMonkey is the next frontier for social media and PPC marketers. Chatbots are a hot topic and a lot of agencies and businesses are doing amazing things with Messenger. Larry is the expert. 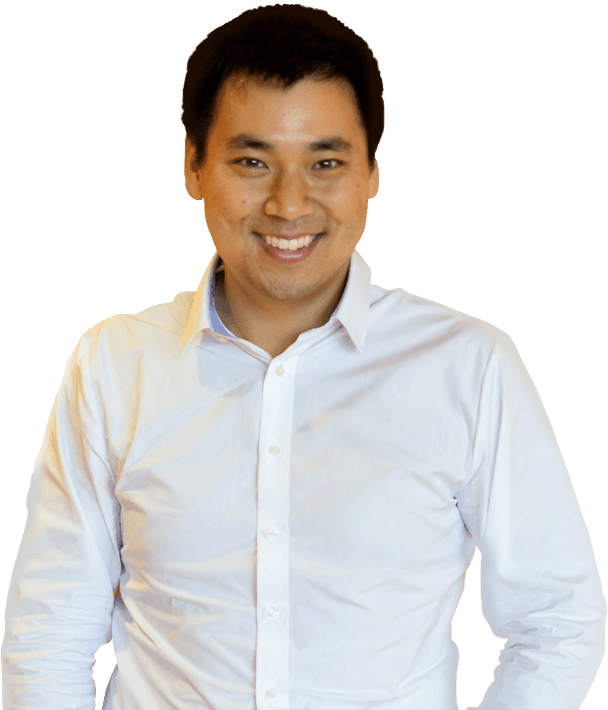 Larry Kim is the premier authority on Facebook Messenger chatbots and MobileMonkey is the industry-defining Facebook Messenger marketing software. The level to which MobileMonkey supports the growth of users and agencies with chat marketing training and education is second to none. Perhaps the most important piece of advice I give small businesses using Facebook ads is to use smart tools that will integrate and automate. The great results when Integrating automation into your Facebook ads. 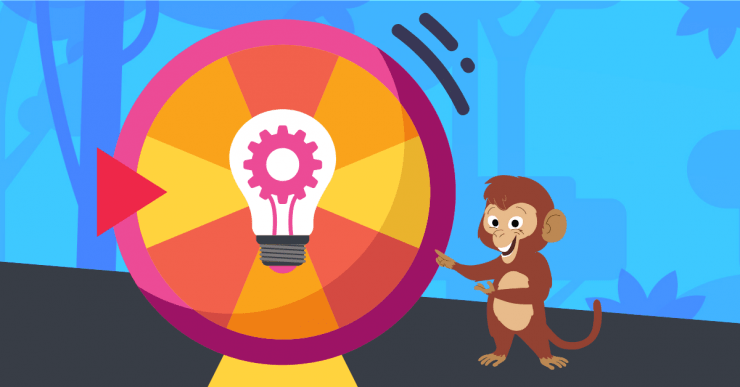 MobileMonkey makes marketing automation for the Facebook Messenger channel really straightforward. Pretty soon, Messenger chatbots are going to touch all paid channels and performance-driven digital advertisers will need to adopt this technology! MobileMonkey is the fastest-growing chatbot tool on the market today and it’s a product I’ve been watching for some time, and finding a lot of inspiration when it comes to bringing the personality to your bots. At Bot Academy we train people not just to create Facebook chat bots and Messenger marketing experiences, but also to do them so well that businesses will pay you to build those experiences for them. Every time I use software in a demo, I ask people, “What do you use?” and the software that keeps coming up lately is MobileMonkey. Every marketing agency needs to stop everything and sell Messenger chatbot services right now. [URGENT] Facebook Just Killed Messenger Scan Codes! Get your monkey business swinging! 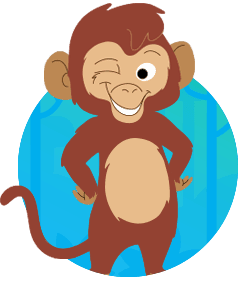 Get MobileMonkey FREE facebook chatbot tools today! Facebook Messenger marketing is the use of Facebook Messenger chat as a communication channel with prospective customers. Facebook Messenger marketing is a lot like email marketing. Except instead of using email to send promotions and drip campaigns, it’s all done using Facebook Messenger and largely with Facebook Messenger chatbots. Everything that’s possible with email is also possible with Facebook Messenger marketing. Except when you use Facebook Messenger, you can do a lot more with email, and you can do it faster. Plus, the engagement rates are far higher than normal email engagement rates. Facebook messenger marketing with chatbots provide enormous power for marketers. Chatbots are interactive, meaning that the Messenger bot can ask questions, get information, segment customer types, and get a wide variety of information from the customer. The concept behind Facebook Messenger marketing is simple — it’s a marketing channel that uses Facebook Messenger. And the applications are immense and promise a huge new opportunity for marketers in any industry. A chatbot is a computer program that launches specific events or conversation. A Facebook Messenger chatbot does all of this on a Facebook Messenger specifically. Don’t let the term chatbot cause you to misunderstand the nature of these bots. Many chatbots simulate human conversation through a conversational interface (CUI). Chatbots are web or mobile conversational user interfaces, and make it possible for humans to interact with computers in a more natural way. Facebook Messenger chatbots can be programmed to function as conversational interfaces. Yes, chatbots can chat with you, similar to how you’d chat online with a human. But bots can do more than just chat. Chatting is simply the framework that the bot uses to prompt a whole lot of other interactions. Many of the sequences and chatbot tools in MobileMonkey are less about chatting and more about selecting options. Why is Facebook Messenger marketing so important? Messenger marketing with chatbots is the biggest marketing channel that has opened up in the past ten years. We predict that it will remain the hottest channel for the next decade or longer. Early adopters — those who tend to pick up on new technology quickly — will be the ones who benefit the most from Facebook messenger bots. By 2020, 85% of customer-business communication will not require any human communication from the business. Messenger marketing allows marketers to stay ahead of the curve and gain the most value right now. How do you integrate chatbot on Facebook Messenger? To use a chatbot on Facebook Messenger, you’ll first need a Facebook Business page. You’ll then select a chatbot builder that has Facebook Messenger capabilities. 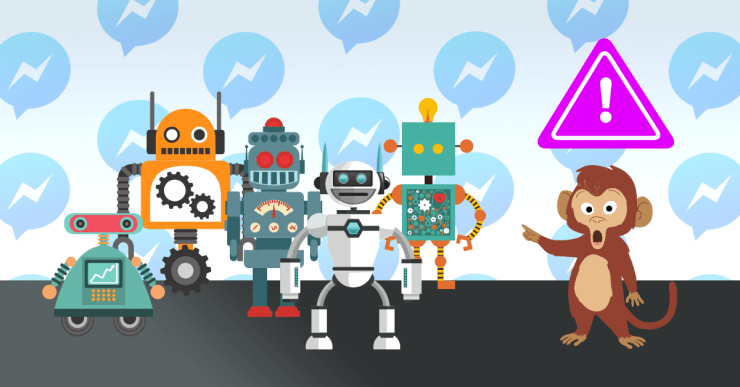 Some chatbot builders like MobileMonkey are focused on Facebook Messenger exclusively. After choosing your tool for building chatbots, you will connect your Facebook Business page to the chatbot builder. After that, you can start building Facebook chatbots and launching them on your page. What are the benefits of using Facebook Messenger marketing? The primary benefit of using Facebook Messenger marketing is that it allows you to reach a large number of potential customers at scale on a personal messaging platform. Messenger apps are one of the largest marketing channels and they have the highest effectiveness rates. To maximize the impact of Facebook Messenger marketing it’s essential to use Facebook Messenger chatbots. Chatbots allow you to execute and automate marketing tactics such as drip campaigns, chat blasts, surveys, and customer service functions. A single Messenger bot or chat blast takes a few minutes to make, but can reach tens of thousands of people individually. Beyond reaching customers at scale, Facebook Messenger marketing has very high click through and engagement rates — 10x to 80x better than conventional Facebook display ads or email marketing. MobileMonkey is the premier platform for running your Facebook Messenger marketing efforts. MobileMonkey has dozens of different Messenger tools and tactics. 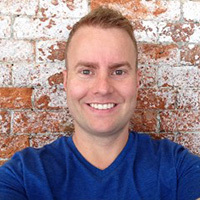 It allows you to collect Messenger contacts, send messages, create drip campaigns, and perform hundreds of other marketing tactics. All of these efforts are powered by chatbots, which can be created and deployed without coding. What industries use Facebook Messenger marketing? Nearly every type of industry and vertical is using Facebook Messenger marketing to some degree. The functionality of Messenger marketing is useful for any type of business — B2C, B2B, selling products or service. Increasingly, many influencers are also using Facebook Messenger marketing with chatbots. By creating a Facebook Business page, influencers integrate Messenger bot functionality, build chatbots, and reach fans at an unprecedented scale. MobileMonkey has a library of Facebook Messenger chatbot templates for a wide variety of industries. Check it out, to find out how chatbots can work in many different ways and for a wide variety of businesses. What are some of the benefits of using Facebook Messenger bots? Facebook Messenger bots allow you to achieve massive scale. If you were to attempt to reach out and reply to all your customers on Facebook Messenger individually, it would be impossible. Facebook Messenger bots also have high read rates and click through rates, much higher than email and conventional Facebook ads. What are the average read rates, open rates and engagement rates with Facebook Messenger marketing chat bots? MobileMonkey users who send chat blasts get these rates in the first sixty minutes of launching a Messenger campaign. When compared with email marketing, Facebook Messenger marketing with chatbots is far more effective. What is Facebook Messenger subscription messaging? Facebook subscription messaging is a tool provided through Facebook that allows businesses to send regular messages to people on their contact list. It’s called subscription messaging, because the recipient agrees to be subscribed to the Facebook Business page that is sending the message. Business Pages must apply for subscription messaging from their page settings and receive manual approval from Facebook. Once approved, business are allowed to send non-promotional messages to their subscribers. Facebook Messenger ads are native Facebook ads that have “Send Message” as the call to action. They look just like conventional Facebook ads, but when users click through, they are invited to send a message and join your Messenger contact list. Typically, this launches a Facebook Messenger bot sequence with the new contact that helps to drive conversions. What can a Facebook Messenger chatbot do? Segment users according to type/interest/size, etc. Change a reservation or flight time – Sure, we can change your flight time. You prefer the 12p flight 1981 from ATL to LGA? Check a reservation status – Yes, we still have the Queen Anne penthouse suite reserved for you on Saturday. Check-in time is at 3 pm. Send order confirmation — Your order is confirmed! Delivery time is 2-4 business days. Find specific products — Let’s find the right lipstick color for you. How would you describe your complexion? Track purchase history – Here’s a complete list of your purchases over the last 90 days. Ping customers on their birthday – Hey, we wanted to wish you a happy birthday! How about choosing a getaway for just you and someone special this month? Order a pizza – Yep, we’ll get that in the oven. One 15” supreme headed your way — 1280 Lakeshore Drive, Apt B3. See you at 5:15 pm! Surveys — What do you think about the state of hot air balloon racing today? Want to take our two-minute survey? Customer segmentation — Are you an agency or solopreneur? What’s your MRR? What’s your AOV? Schedule real estate showings — Sounds like you want to take a look at our rental located at 18 North Ave. What time works for you over the next seven days? 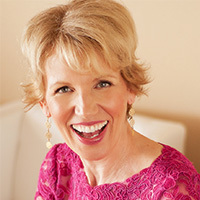 Select a meeting time — Melissa would be happy to schedule a free, live online consultation. Select from the following times. Where can I create a Facebook Messenger bot for free online? MobileMonkeyis the premier chatbot builder with the most powerful and advanced features available for absolutely free. We’ve found very few platforms that offer robust chatbot technology for no cost. Some of the platforms do have free plans, but limit the user to just a few minor things. MobileMonkey’s free tier is specifically designed to help marketers, regardless of their budget, tap into the power of Facebook Messenger marketing with chatbots. To set up a Facebook Messenger bot, simply select a Facebook Messenger chatbot builder. There are many options to choose from. 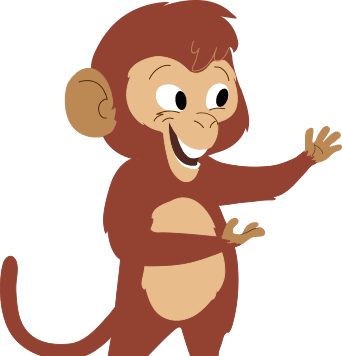 Some, like MobileMonkey, are free and do not require any coding. Once you’ve selected a chatbot builder, you will connect it to your Facebook Business page. After that, you’re ready to create your first Messenger bot. How do you automate Facebook Messenger? You can automate Facebook Messenger marketing by using Messenger bots. To use bots, simply create a MobileMonkey account, connect your Facebook Business page, and you’re set. Automating Facebook Messenger is one of the most powerful marketing moves that a modern business can make. MobileMonkey makes this process simple, fast, straightforward, and at a very low cost. Yes. Most customers today prefer messaging businesses, as opposed to calling or emailing them. Most businesses have taken heed, and are using some form of live chat to service their customers. The only way to deliver ultra-fast and scalable response times on the messaging platform where your customers are most likely to interact is by creating a chatbot. Man businesses choose to create an automatic Facebook Messenger responder. When the customer clicks “Send Message,” the page automatically responds by acknowledging the inquiry. The superior method of responding to your customer is with an entire bot sequence. A sequence will lead customers through a logical chain of events, much the same way that a telephone menu provides a series of options that a customer can work through to receive the help or answers they need. How does Facebook Messenger chat work? Facebook Messenger is an app that allows users to exchange messages, similar to text messaging, using an online connection. Messenger chat is only one component of Facebook Messenger. Users can have voice calls, video calls, group voice/video calls, use photo filters, send attachments, voice messages, and a wide variety of other features. Facebook Messenger chatbots expand this functionality by allowing users to answer questions and surveys, sign up for events, secure tickets, get shipping updates, and a lot of other helpful information. Can your Facebook Business page get banned from using Messenger? Your Business Page will not get banned. However, you can have your page messaging capabilities limited or suspended if you abuse Messenger and get tons of complaints. Even if your Business Page’s use of Messenger is banned, that doesn’t impact other facebook marketing channels like your Page, Facebook group, Facebook ads, Instagram, etc. To get the ban lifted, you’ll need to write a request to Facebook. It can take them a long time to respond, since Facebook Messenger bans are administered and reviewed manually (at the time of writing. )See here for a complete story on a Facebook Business Page that received one of these limits, and what was done about it. Why would a page get banned on Facebook Messenger? Again, there is no chance of your page getting banned from Facebook due to Messenger violations. The limitations come in the form of Messenger capabilities (usually message tags, subscription and broadcast messaging, and sponsored messages). The reason why a page receives this penalty is typically due to high block rates. If users are blocking your page, this signals to Facebook that you’re doing something with Messenger that is annoying your users. Please note that MobileMonkey does not ban pages or restrict Messenger functionality. MobileMonkey is a verified Facebook partner, but does not impose limits or restrictions on Business Pages. These are set by Facebook. Why would people ban your page on Facebook Messenger? The user doesn’t know how to unsubscribe from receiving messages, so they choose the block option. You are sending messages too frequently. Users do not like the content of your messages. To avoid being banned on Facebook Messenger, keep a close eye on your block rate. If this begins to increase, try to determine why it might be the case. What is an average block rate on Facebook Messenger? The block rate in Facebook Messenger is the percentage of people who choose to block your chatbot in order to discontinue receiving your Messenger messages. The average block rate is 1-2%. A few people are always going to block you, regardless of what you do. When your block rate creeps to 3-5%, you’ll want to be careful and adjust whatever you’re doing that may be causing those block rates to increase. Anything above 5% is a cause for concern. Although there is no “official” percentage at which Facebook will ban your page on Messenger, our studies show that Pages are at risk of being banned when block rates hit 8%. How do I check my block rates on Facebook Messenger? From your Facebook Business page, click “Insights,” then “Messages.” Your block rate will appear as a percentage number at the top of the page next to the number of messaging connections you have. When you start using Facebook Messenger marketing and Facebook Messenger chatbots specifically, you’ll want to check this number on a weekly basis to make sure that your block rates are staying below 3%. Be sure to toggle the dates to understand how your block rates average out over a weekly, monthly, and quarterly basis. Weekly fluctuations above 3% might happen, especially if you’ve engaged in an aggressive chatbot marketing effort, but if it stays above that rate for a longer period of time, you should make adjustments. How do you prevent people from blocking your page on Facebook Messenger? This advice applies to users you are inviting to your Messenger contact list for the first time and recipients that are accustomed to receiving your messages. Offering unsubscribe instructions creates an easy way for users to opt out without resorting to blocking you. Plus, it provides a sense of safety, knowing they have a recourse to withdraw from the message sequence if they want to. Moderate the pace of your Messenger bots. Sending a dozen or so messages in a few minutes time is probably too many for most users. Monitor the tone of your messages. Anything strident or annoying will probably result in a few blocks. Schedule messages at times that are convenient for your users (not 2 in the morning). Always provide clear instructions on how to unsubscribe from the Messenger sequence. Each of these capabilities is supported in MobileMonkey, and are easy to implement in any Facebook Messenger chatbot. Can I use facebook messenger chatbots on Instagram or Whatsapp? Not yet. According to indications from Facebook, you should be able to use chatbots on Instagram and Whatsapp in 2020, or at some point after Facebook merges all three messaging platforms — Messenger, WhatsApp, ad Instagram. Can I use Facebook Messenger chatbots on my personal account or Facebook Group? No. Facebook Messenger bots only work with business pages. It’s easy to set up a Facebook Business page, and you can use your Business Page for a lot of different purposes — even as your own personal brand page. Once you have a Facebook Business Page, you can do as many things with Messenger chatbots as you want. What is a marketing bot? A marketing bot is a computer program that can interact with humans to provide marketing services that were traditionally handled by people. They are often called chatbots. In reality, bots do far more than just chat with humans. The most effective bots in use today are Facebook Messenger bots. Facebook Messenger bots can effectively replace hundreds of thousands of hours of time that would be required to interact individually with customers over Facebook Messenger. What is the best chatbot service for websites? The best chatbot service for websites are Facebook Messenger chatbots because they make the interaction easy, fast, and automated, and persistently on multiple devices. Many websites use integrated chatbots, but the conversation lives and dies on the website. Facebook Messenger allows people to become a contact in perpetuity, and keeps the conversation going indefinitely. It’s easy to install a Facebook Messenger chat widget on a website using the WordPress plugin, WP-Chatbot. What are the best AI chatbots available online? The best AI chatbots available online are those that are easy to set up and integrate with one’s existing marketing tools. Often, AI chatbots require complex coding that is not accessible to marketing teams due to the budget and skills required for setup. MobileMonkey is an ideal alternative, because it does not require any coding whatsoever. MobileMonkey is designed specifically for Facebook Messenger, which is the marketing platform with the highest level of engagement rates and customer reach. Are Messenger chatbots useful for agencies? Yes. A large percentage of MobileMonkey customers are agencies. 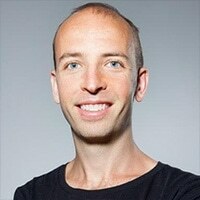 There are two reasons why agencies are such heavy MobileMonkey users. First, agencies deploy chatbots to acquire and retain customers for themselves. Second, agencies offer Messenger chatbot services to their clients, which adds value to the client and revenue for the agency. MobileMonkey offers special agency rates and frequent discounts (up to 50%) for agencies. The agency plans include unlimited pro plan features, unlimited Facebook Pages, on-boarding support, and 25,000 free contacts. Contacts are aggregated across all the agency’s Facebook pages. Agency accounts with MobileMonkey also receive multiple access levels for admins or contributors, client logins for collaboration, and a team dashboard that ties it all together in a cohesive way. How can agencies use chatbots? Messenger marketing with chatbots is a powerful revenue-generating tool for agencies. An agency can sell chatbot services to their clients. For an agency to do this, it should purchase the agency plan from MobileMonkey, which allows an agency to create an unlimited number of bots on a unlimited number of Facebook pages. When creating chatbots, the agency can collaborate agency-wide on projects or even invite the client to participate in the chatbot creation process. It’s easy to transfer ownership of the chatbot from the agency to the client at any point. 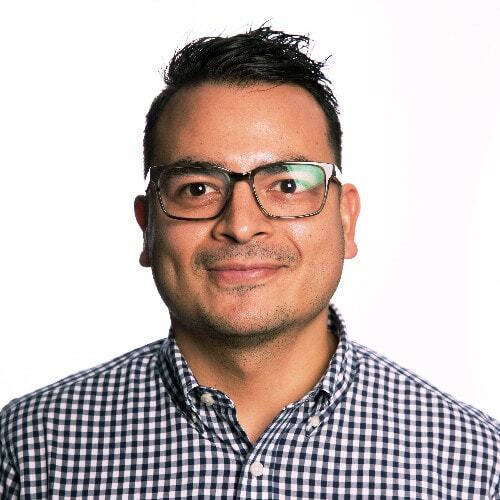 Agencies can include chatbots as part of their service offering to client, which can add one-time development fees and monthly retainer fees. Are chatbots a new technology? As marketing trends go, chatbots aren’t new, but Messenger bots have only recently become easy to make. Anyone in the digital marketing industry understands that technologies, platforms, innovations, and trends rise and fall rapidly. Chatbots are one of the most fluctuation trends on the market. Some chatbots companies rise and then fold within just a few months. When it comes to Messenger bots, Facebook is adding new capabilities and features on a regular basis. Plus, chatbot developers themselves are making the process of creating a chatbot easier than ever. All of this information hasn’t become widespread, meaning that many marketing teams just aren’t aware about how easy it is to have a chatbot up and running. Do I have to know how to code to make a chatbot? Creating chatbots requires no coding skills whatsoever. If you’re able to think, click, and read, then you’ll be able to make a chatbot. You can create long, complex, and even NLP (natural language processing) chatbots without touching a line of code. Naturally, creating chatbots does take some time. And, since some bot sequences are complex, building them will require careful thinking and planning. But at the same time, you won’t have to learn a new skill like coding. Are chatbots expensive? How much do chatbots cost? Good news: MobileMonkey is free. And we don’t mean “free” like, “Oh, but you’ll have to pay for every truly useful functionality.” No, we mean free as in you can build and deploy an unlimited number of powerful chatbots for websites, Facebook ads, bulk messaging, on an unlimited number of Facebook pages. Forever. Marketing software is big business. One popular software helps to track rankings and provide search engine data. 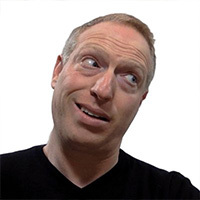 If you’re an agency, buying the software will set you back a thousand bucks a month! Now, compare that price point with this: $0.00 for an entirely new and robust marketing channel that has a reach of more than 1.3 billion people all over the planet, in every industry. As long as you select the right chatbot builder, then no, chatbot software is not too expensive. How long does it take to create a chatbot? You can create a complete Messenger bot in less than one minute. MobileMonkey has a complete library of pre-built Messenger bot templates for many industries such as agencies, realtors, ecommerce, podcasts, doctor’s offices, and real estate. When you use and customize these templates, you can have an entire beginning-to-end marketing cycle created for your business. Is chatbot on Facebook Messenger marketing time-consuming? With chatbots, interacting with customers is seamless and fully automated. In the old days, yes, this would be 100% true. In the past, in order to see the messages that your customers sent you, you had to dig through the labyrinthine Facebook Business page to see a whole bunch of messages (DOP! How did I miss them?) that customer had sent you when the click on the “Message” button on your website. One of the reasons why marketers love chatbots is because it is one of the few methods that allows marketers to engage on a personal level at scale with hundreds or thousands of contacts. What are some common uses of Messenger bots? Chatbots are capable of executing thousands of tasks, from the mundane (ordering pizza) to the magical (finding the love of their life). The sheer potential of Messenger bots is mind-boggling, and that fact alone may cause some people to shy away from trying to use them. There are hundreds of possibilities, but here are highlighted some of the top Facebook chatbot strategies that MobileMonkey users are doing every day. Comment guard – Connect a Messenger bot to an organic Facebook post. Everyone who comments on the post is automatically invited to join your Facebook Messenger contact list. Boost the organic post to gain exponentially more contacts! Chat blasting – Send a Messenger chat to a select group of contacts or a huge group of contacts, all at once. The open rates average from 50-80%, and the response rates blow email out of the water. Click to messenger ad – It’s like a Facebook ad, except instead of driving CTRs to a landing page, you add contacts to Facebook Messenger where you can launch a drip campaign, segment them, and remarket them for life. Chat widget – Pop this little plugin on any page of your website, and bam, you have an instant way to gain massive amounts of Facebook Messenger contacts. If you have WordPress, the plugin is an absolute breeze to set up. What are some alternatives to Chatfuel? 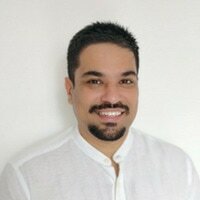 MobileMonkey is an ideal alternative to Chatfuel. Some marketers find Chatfuel difficult to use. The free plan offered by Chatfuel has such limited functionality that it makes it difficult to determine if moving to a paid plan is a good idea. Using MobileMonkey allows you to explore a vast array of Messenger bot techniques and tactics without having to spend any money. What are some alternatives to ManyChat? 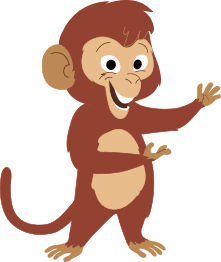 MobileMonkey is an alternative to ManyChat. Other chatbot builders and platforms are available, but MobileMonkey is the fastest-growing chatbot builder with the highest number of features and functionality. Its price point (free) makes it a price-sensitive entrypoint to Facebook Messenger marketing with chatbots. MobileMonkey has industry-leading integration with WordPress, advanced AI for natural language processing (NLP), a seamless easy-to-use interface, higher value for the price point, few to no bugs, fast response time, advanced features, and greater platform stability than other chatbot platforms. How do I make and sell chatbots? You can create chatbots are part of your marketing services to clients. First, understand your client’s goals and needs, then pitch a Facebook chatbot as a solution. You can charge an upfront fee for the development of the chatbot and an ongoing fee for management and subscription fees (if required). Messenger bots are one of the fastest-growing and highest-ROI marketing channels available today, so it’s a smart move to begin offering them as part of your agency or freelance marketing services. What is the best way to create messenger bot? The best way to create a Messenger bot is to select a Facebook Messenger chatbot platform that makes it easy to create a bot (no coding required). Once you select your chatbot builder, connect it to your Facebook Business account. From that point, you can determine what kind of chatbot you want to create, and walk through the required steps in the chatbot building app. Customers actually enjoy interacting with bots, especially when the bots have been developed carefully and with the user in mind. It doesn’t cost anything to build a chatbot. MobileMonkey is free, and you can create as many bots as you want without spending a dime. Some chatbot builders do have costs involved ranging from a few dollars a month to thousands of dollars in initial setup fees and ongoing maintenance. If you’re just getting started with chatbots, it is best to select a Facebook Messenger chatbot builder like MobileMonkey for its low to no cost and ease-of-use. What are the technologies needed to create a chatbot? The only technology you need to create a chatbot is your Facebook page, a chatbot builder, and your brain, if brains can be called a technology. Chatbots, especially Facebook bots, have become so commonplace that any marketer regardless of skill level or budget can create a chatbot within minutes. Facebook Messenger chatbots are the best place to start. How do I create a chatbot with little or no coding? To create a chatbot with little or no coding, find a chatbot builder that allows this. MobileMonkey is one of them and there are dozens of alternatives. MobileMonkey is specifically designed for Facebook Messenger marketing, so the tools and tactics involved in MobileMonkey chatbots will give you huge advantages. What are some free chatbots for Facebook? There are dozens of free chatbots for Facebook available on the major chatbot builders. For example, on MobileMonkey, you can create a free chatbot called a “chat blast” that sends your message to thousands of your subscribers simultaneously. Most quality Messenger bot building platforms offer free chatbots as part of their service. Which platform is ideal for building chatbots for customer support? MobileMonkey is the ideal platform for customer-support related issues. MobileMonkey allows you to create automated sequences that answer questions and walk customers through common issues. In addition, MobileMonkey has a Live Operator handoff feature that will send a customer to a human responder who can help address their issue. How do I create a bot that answers real-world questions? You can create a bot that answers real world questions by carefully programming the bot over time. The Q&A feature on MobileMonkey allows you to develop such a chatbot using a system of trigger words and words to ignore. Although setting up such a bot does require some work, you can do so without coding. What is the best open source platform to build a chatbot? If you’re looking for an easy-to-use chatbot builder, your best bet is to stick with someone like MobileMonkey, since it’s free and doesn’t require any coding. What are the best chatbot templates for the real estate industry? A solid real estate chatbot template is available for free here. Go ahead, test it out. This template, available on MobileMonkey is versatile, because it automates and streamlines many of the tasks that realtors need to carry out on a regular basis — viewing listings, scheduling showings, etc. The bot automatically segments users according to buyers, sellers, and renters, so you can find out how to best serve potential clients. Who are the major players in chatbots? What company offers the Best Chatbot Tools? How can I create a chatbot from scratch? To build a chatbot from scratch, you can either develop it by yourself using a development framework, or you can create a chatbot code-free using an existing chatbot builder like MobileMonkey. What is the easiest way to build a Messenger chatbot? The easiest way to build a Messenger chatbot is to select a Facebook Messenger chatbot builder — software that allows you to create questions, answers, options, and other things to connect with your audience. MobileMonkey makes it extremely fast and easy to build a Messenger chatbot. Since most chatbots follow the same flow, all you need to do is open the chatbot builder, customize it with your specific verbiage, and flip it on. Are there any Messenger chatbots that can be integrated into a landing page as opposed to popping up? Yes. The most popular way to add Messenger chatbots to a website is to add an unobtrusive persistent widget to each page. You can customize the look and position, but usually the widget lives in the lower right hand corner of the website. You can set these up by using the WordPress plugin, WP-Chatbot. How can I use Messenger chatbots in my ecommerce website? You can use Messenger chatbots to view styles, browse products, process orders, provide shipping updates, and answer common questions. Messenger chatbots on ecommerce websites can function as de facto fashion consultants, helping a customer understand exactly what size, color, or style, they may want to purchase. Once the customer has purchased, Messenger chatbots can assist all the way through to delivery (or returns) of the product with order confirmations, shipping updates, and other information. This template is just an example, but you can test the kind of plug-and-play chatbots for an ecommerce website here. How can I use a chatbot for lead generation on Facebook Messenger? Messenger chatbots are a targeted and effective lead generation technique. MobileMonkey has acquired tens of thousands of leads using this chatbot, and our clients have gained hundreds of thousands more. Lead generation chatbots typically provide free offers or information, and drive the customer through a sequence of qualifying questions, often ending with a free consultation or invitation to join a Facebook group. The great thing about using Messenger bots for lead generation is that you can segment your audience. Using segmentation features such as budget, size, interest, etc., means that your marketing efforts will be highly successful. Is there a tutorial for making a Facebook chatbot triggered by Facebook post comments? Basically, how it works is this. You create a normal organic post in Facebook. When people comment, it automatically invites them to become a Messenger contact. Rather than rack up meaningless likes, you’re actually gaining valuable leads from posts like these. Depending on how appealing the organic post is, you can gain dozens or even hundreds of Messenger leads, as I’ve done. For example, you can post a quiz, even something really silly, and promise people that you’ll message them the right answer if they venture a guess. Naturally, people will want to see if their guess is right, so they will add a comment and be added to your Messenger contact list. This list building technique is powerful and free. What are the benefits of Facebook Messenger chatbot? The benefits of Facebook Messenger chatbots is that they provide effectiveness of a messaging platform at scale. In other words, rather than spend your time replying to or messaging individual customers, you can deploy a chatbot that automates the entire process. Another major benefit of Facebook Messenger chatbots is their sheer marketing effectiveness. For example, when compared to email, the marketing channel with the greatest similarity, Messenger bots are as much as 50x more effective. Messenger bots have, on average, 80% open rates and 20% click through rates. Cost savings is also a benefit. Chatbots are free if you use a free chatbot builder like MobileMonkey. If you use a paid service, there is a nominal (often monthly or based on number of subscribers) for using the service. You can pay to use click-to-messenger ads, but the cost is dramatically lower than conventional display ads in Facebook. Facebook Messenger chatbots are incredibly versatile, which is another significant benefit of using chatbots. You can create a lead magnet chatbot, a drip campaign Messenger chatbot, or simply a helpful customer service chatbot. The possibilities are endless. Which is the best Facebook Messenger marketing tool? The best Facebook Messenger marketing tool is using Facebook Messenger chatbots. Find a Messenger chatbot builder that is free and easy to use, and you can use the power of Facebook Messenger chatbots in your marketing. How can people discover Facebook Messenger Bots? There are many ways that people can discover your business’s messenger bot. The first way is from your website. If you add a Facebook Messenger widget to your website, you can invite people to join your Messenger contact list directly from any page on your site. Usually, this takes the form of a simple “Can we help you” question that opens a conversation in Facebook Messenger. The second way that people can access your Messenger bot is through your Facebook Business page. By default, Facebook provides a “Send Message” button in the upper right corner of a Facebook Business page. If a customer sends a message to your Facebook Business page, they will be added to your Messenger list. The third method is through organic posts on Facebook. When you create an organic post, you have the option of allowing people to Send a Message in reply. You can also create an organic post with an auto-responder. This allows any post commenters to automatically receive a response that allows them to opt in to your Messenger list. A final method of promoting your Messenger bot is by creating a click-to-Messenger ad. Click-to-Messenger ads allow people to active a Messenger bot sequence when they respond to your ad. How can I build a chatbot from scratch and use it to market my products? The best way to create a chatbot from scratch is to do so using a Facebook messenger chatbot builder. Many Facebook Messenger chatbot builders provide templates, which provide a handy starting point if you’re not used to creating Messenger chatbots. Other chatbot builders like MobileMonkey allow you to drag-and-drop various features into your bot sequence, making it simple and straightforward to design a chatbot from scratch. Is it possible to create chatbots without coding? Yes, it is possible to create chatbots without having to do any coding. Code-free chatbot creation is the preferred way for most marketers. It is more costly to create a chatbot using code than it is to develop a chatbot using a chatbot building software. Some Facebook Messenger chatbot builders, like MobileMonkey, are free. 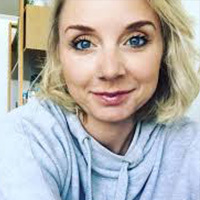 They provide soup-to-nuts chatbot sequence creation, including creating customer service chatbots, FAQ chatbots, lead generation chatbots, drip campaign chatbots, chat blasts, and other Messenger chatbot features. As long as you have the right chatbot builder platform, creating a chatbot does not require any coding whatsoever. What are some Messenger chatbots in recruiting? A recruiting chatbot can perform many of the tasks that recruiters would carry out manually. Messenger bots for recruiting are an ideal entry point for candidates, since they can simply send a Messenger message in response to a job posting. The Messenger bot can then take on the task of pre-screening the candidate, getting information from the candidate, and even scheduling an interview with a hiring manager. What are the best platforms and resources for building Messenger bots? MobileMonkey is an ideal chatbot builder. 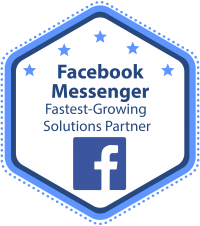 According to Facebook data, MobileMonkey was recognized as the Facebook Messenger Fastest-Growing Solutions Partner. MobileMonkey has a suite of features and functionality not offered by other chatbot platforms. One distinguishing resource of MobileMonkey is the amount of informational resources available to marketers who are building bots. In addition to full in-app help documentation, there are also on-demand webinars, frequent live Messenger chatbot conferences, and even live support from a MobileMonkey professional. What are the most profitable Messenger chatbots? The most profitable Messenger chatbots are those that focused on marketing KPIs like conversions. Many Messenger chatbots offer customer support, which is undoubtedly helpful in marketing. But chatbots can also make a difference on a company’s bottom line. By attracting new Messenger list subscribers and placing those subscribers in a chatbot drip campaign, you have a high likelihood of gaining valuable conversions. What is the best Facebook Messenger chatbot builder on the market? 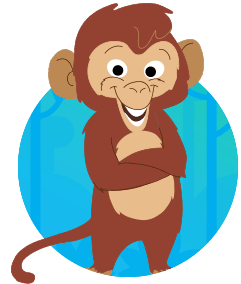 The best chatbot builder on the market today is MobileMonkey. MobileMonkey was identified by Facebook as the fastest-growing chatbot builder. Users build hundreds of chatbots a day on MobileMonkey for businesses from a dentist offices to SaaS corporations. Part of MobileMonkey’s appeal is the fact that it’s free. Obviously, additional features are available for paid membership, but a huge array of tactics, chatbot sequences, and other features are available to users without paying. One other distinguishing feature of MobileMonkey is its ease-of-use. Chatbot creation can be tricky, especially when coding is involved. With MobileMonkey, however, no coding is required. The user interface allows user to drag-and-drop chatbot features to create a chatbot easily and simply. How can I learn to build Facebook chatbots? Anyone can learn to create chatbots simply by experimenting on a chatbot builder. It’s free, and you don’t have to your existing subscribers with messages while you’re just getting the hang of it. To learn to build chatbots through experience, create a MobileMonkey account, connect you Facebook Business page, and start building. You can test any chatbot at anytime, by clicking the “Test Dialogue” on the bot builder page. 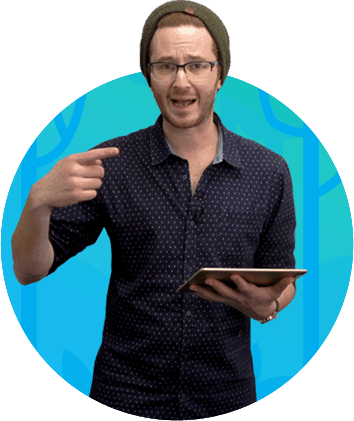 It your goal is more information and learning, then you’ll want to check out MobileMonkey’s learning resource center. One good first step is to join a Facebook Messenger Marketing summit. The largest of these summits are hosted by MobileMonkey. In addition to Growth Marketing Summits and Facebook ads summit, MobileMonkey is the sponsor of the world’s largest chatbot marketing summit. MobileMonkey has a 5-star chatbot master class that will accelerate your ability to learn and deploy powerful Facebook chatbots. How can I send subscription based promotional messages via a Facebook Messenger bot? Once someone joins your Facebook Messenger list, you can send them any number of promotional updates within their first 24 hours. After 24 hours, you can send them one promotional update. Facebook calls this the 24+1 Facebook Messenger rule. Chatbots are the only way to successfully send these promotional messages. As soon as a new contact enters your Messenger contact list, you can send them a bot sequence that can segment them, lead them through your marketing funnel, or provides other opportunities for them to engage with your business. What is Subscription Messaging with Messenger Bots? Subscription messaging is Facebook’s method of requiring approval before Business Pages can send promotional updates to their Messenger contact list. Facebook subscription messages are where the real power of Facebook Messenger marketing comes into play. In order to send Facebook subscription messages to your contact list, you’ll first need to apply and be approved by Facebook. Once you are approved, you can send non-promotional messages to this audience whenever you want. Facebook requires a stringent non promotional policy for these messages. There are 17 possible case-uses, and you must select one of them for your message. How hard is it to create a Facebook chatbot? It’s not hard at all to create a Facebook chatbot. It is possible to deploy a fully-customized chatbot sequence with just a couple of minutes of tweaking, as long as you’re using a chatbot builder like MobileMonkey. Chatbot builders like MobileMonkey have simplified the Facebook chatbot creation process. Instead of coding, all you have to do is drag and drop various elements into your chat sequence. MobileMonkey has an array of ready-to-use templates for the most common chatbot marketing tactics. Instead of creating your own Facebook chatbot from scratch, you can try out these different templates for your own use. What are the best Facebook Messenger tools for brands and marketers? The best Facebook Messenger tools for brands and marketers is a robust Messenger chatbot builder. 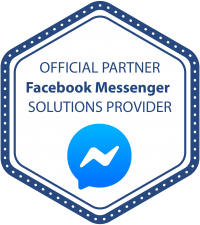 MobileMonkey has been recognized by Facebook as the fastest-growing Messenger bot builder, with hundreds of chatbots being created daily. What does it take to create a Messenger chatbot? To create a Messenger chatbot, all you’ll need is a Facebook Business page and a Messenger chatbot builder. MobileMonkey is a free chatbot builder with a large number of Messenger chatbot tactics available for no extra cost. Thousands of users with no prior experience are creating Messenger chatbots on a daily basis using MobileMonkey’s easy-to-use and code-free chatbot building tools. A Facebook bot is a computer program that creates and controls a phony Facebook account. Please note that Facebook bots are different from Facebook Messenger bots. Messenger bots are programs that automate tasks and messages in Facebook Messenger, and are 100% valid and trustworthy. How are Facebook Messenger chatbots created? Most Facebook Messenger chatbots today are created using a chatbot builder. Messenger chatbot builders are online apps that allow users to create an account, connect their Facebook Business page, and then start developing a Messenger bot without having to do any coding. There are many types of Messenger chatbots. One of the most common types of chatbots works a lot like a website navigation menu. You present the user with a list of options from which they can choose. For example, a restaurant chatbot might have four options — Make a Reservation, See the Menu, Order Food, More Information. Users then select the option that is most relevant to them. Other chatbots are specifically designed to get information from users. These lead generation Messenger chatbots often provide an offer to the user, but require some level of information before the offer can be finalized. For example, you offer your leads free tickets to a webinar, and in the process of applying for the free ticket, you secure their email address and other information. How can Messenger Bots be monetized? The most straightforward way of monetizing Messenger bots are by driving conversions through chatbots. For instance, a restaurant can facilitate online orders through their chatbot, an agency can pre-screen leads who have $15,000 monthly ad spend, a personal trainer can schedule a free one-on-one consultation with a potential client, and a real estate agent can schedule showings for the properties has listed. Marketing agencies can monetize bot creation, by offering this service to their clients. Many customers are willing to open up an additional high-value marketing channel, and want to outsource this project to their marketing agency. Agencies and freelancers can offer a one-time cost per chatbot creation (e.g., $600), and then a monthly payment for maintaining the chatbot (e.g. $50). The reason why chatbots are one of the fastest-growing marketing channels available today is precisely because they drive such high engagement and are so easily monetized. How can Facebook Messenger chatbots help acquire customers? Chatbots can help acquire customers much the same way that email attracts customers — by engaging them and presenting them with an offer. In fact, chatbots have far higher open rates and click through email rates than email. One of the most direct ways to drive conversions through Facebook Messenger is with a lead generation bot. This bot presents potential customers with an offer, and allows them to funnel through to a consultation call or other conversion opportunity. Another technique, drip campaign Messenger bots, nurture a lead through a series of questions and answers that can also increase conversions. Customers will join your Messenger list through a variety of different sources — on your website, a landing page, your Facebook Business page, a boosted post, a click-to-messenger ad, or even a Messenger scan code. Hundreds of millions of people already use Facebook Messenger in their regular day-to-day communication method. When presented with an opportunity to interact with a business on Facebook Messenger, it’s easy and appealing. For this reason, you can rapidly grow your Facebook Messenger list, and, in turn, your number of customers. It’s easy to create a Messenger chatbot specifically designed for lead generation. MobileMonkey has a lead generation template that allows users to get a free ticket to an event. You can, of course, customize it for any kind of free offer you have — a white paper, a download, or a some other, etc. The chatbot then. In addition to generating leads, you can also qualify leads using a Messenger chatbot. When you qualify these leads, you can boost your conversion rate while also reducing the time required to vet new potential clients. Generating leads and qualifying leads using Facebook Messenger is highly effective, saving time for marketers, increase lead quality, and lowering overall cost per acquisition. Do customers like using Messenger chatbots? Based on customer engagement rates, the answer is a clear yes. Most Facebook Messenger subscribers remain a subscriber for the long term, even though opting out at anytime is available. Furthermore, with 80+% open rates and 20+% click through rates on most messages, there is strong indication that customers appreciate using bots. Messenger bots are a highly convenient way for customers to get information, place orders, get updates, and interact with the business without having to interact with a human. Besides, since Messenger bots are available 24/7, there is the added convenience of constant availability. How feasible is the idea of using a Facebook Messenger chatbot for surveys or feedback? It’s probably no surprise, but Facebook Messenger is a brilliant tool for surveys and feedback. For far too long, marketers have depended on clunky and/or intrusive apps, popups, emails, or other forms of gaugaing customers satisfaction. It’s notoriously difficult for customers to fill out surveys, which means that many marketers are forced to incentivize these surveys, leading to diminished or untrustworthy results. Facebook Messenger chatbots are the new solution. Survey using Messenger bots are quick and interactive, which motivates customers to reply and continue through the completion of the survey. If you choose, you can also provide rewards to users for completing the survey, also facilitated using a Messenger chatbot. How many people use chatbots? According to data from Facebook, there are more than 80 million Facebook Business pages, but only 300,000 Messenger bots in use by these pages. This indicates a huge disconnect between the potential of chatbots and the actual utilization of chatbots. Are Facebook Messenger chatbots available 24/7? Facebook Messenger chatbots are always on, every day, all the time. In fact, this is one of the primary reasons that marketers love chatbots so much. Is Facebook Messenger marketing better than email? The data says yes. And there’s really no contest. Facebook Messenger chat blasts, a type of Messenger bot, has 70-80% open rates in the first sixty minutes. Most chatbots have a 20% or higher click through rate, compared with the less than 5% with email. Live chat functionality, of which Facebook Messenger chatbots are at the helm, increase the likelihood that customers will buy a product or service. A 20% lift in conversions and a 305% boost in ROI has a major bottom line impact! How can I tell if a message has been read on Facebook Messenger? Messages on desktop larger view: To the right of the message, you’ll see the recipient’s profile picture if they’ve viewed the message. When you mouseover the message, it will display the date and time that they read the message. Messages on mobile app: A date and time will appear in light gray below the read message. Some third-party Facebook Messenger chatbot builders have an integrated analytics platform that displays read rates, click through rates, and other relevant data. To get deeper intel on messages sent from a Facebook Business Page, use a platform like MobileMonkey. MobileMonkey provides a full suite of Facebook Messenger analytics including visual graphing of trends, contact acquisition rate, conversions and goals tracking, sessions, date range selection, and more. 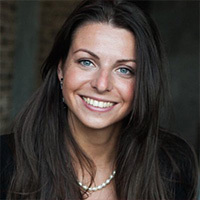 What are the top trends in digital marketing today? Chatbots are clearly at the cutting edge of digital marketing trends. Unlike some digital marketing trends, which have a short shelf life, chatbots and Facebook Messenger chatbots specifically, are poised to have tremendous impact for years — probably closer to a decade. What kinds of customer service interactions can a chatbot resolve? There’s little that a chatbot can’t do from a customer service perspective. As a result, savvy managers are aggressively pursuing more bot-automated customer service functions. It’s easy to see why. In 2016, BI Intelligence estimated that chatbots could save more than $60 billion in salary costs. And, at anytime, a customer can request a live human operator to take over from where the chatbot left off. Chatbots are effectively replacing millions of human hours of potential work, which lowers costs for businesses. What are the most popular messaging apps? Facebook owns both Messenger and Whatsapp, making them Facebook as a company major messaging app player. Facebook is merging their three main messaging platforms — Whatsapp, Facebook Messenger, and Instagram, which means that Facebook will dominate the global messaging ecosystem. Do MobileMonkey-powered Facebook Messenger Marketing Chatbots integrate with CRMs and other Marketing Automation Software?